No. 4 Vesta Tipple - 4th Pool, Richeyville, PA, circa 1916. The Vesta No. 4 Mine, once the largest bituminous coal mine in the world, was owned and operated by the Vesta Coal Company, a subsidiary of the Jones and Laughlin Steel Corporation. 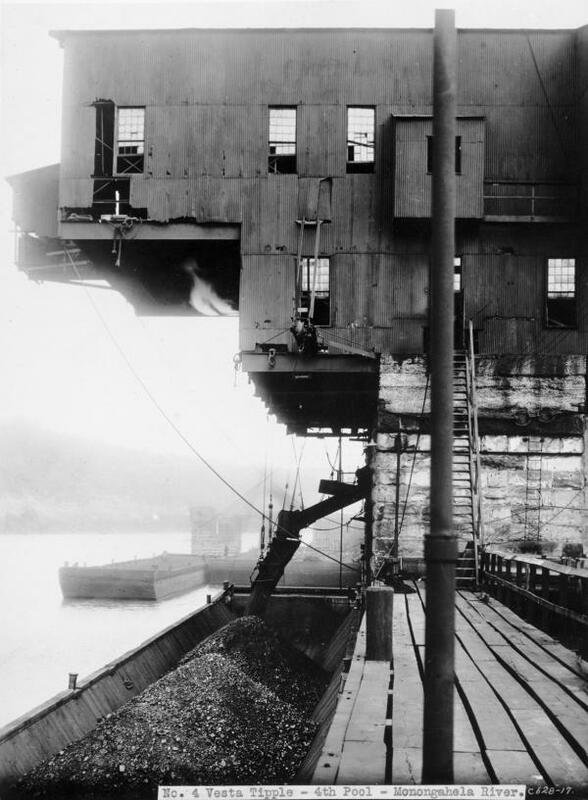 Jones and Laughlin barges carried coal on the Monongahela River from the Vesta mines to the beehive ovens of the Eliza furnaces at the company's Pittsburgh Works.